eReader1: Tip #25: Kindle's Popular Highlights.... or not?? Tip #25: Kindle's Popular Highlights.... or not?? I like highlighting on my Kindle. Anytime I read a "worthy" passage or line in an ebook it gets highlighted. Sometimes I paste them somewhere, like an email or a review. It's not something I used to do with paperbooks, but it's a feature I use greatly now that I have it. You can access your book highlights online if you sync your Kindle with Amazon: log into Personal Kindle Page - your book notes & highlights to see them. Here you will find your highlights and any corresponding notes you have made. This option has been around for as long as I've had my Kindle, but with Kindle 2.5 update came a new option: to see popular highlights for the book you are reading, that is to see which sections of the book other people have highlighted too. You can also see the highlights as you read. Passages that have been highlighted by other people appear with a faint dotted line beneath them. You also have the option to see how many people have highlighted it. Beneath the dotted line, in very faint lettering, it will say "x highlighters". 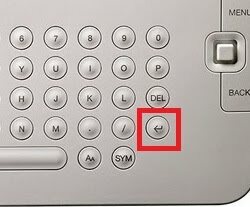 You can turn off this latter option by clicking the enter key. Do you use this feature, or not? I am in two minds. No surprise there, I am indecisive about hundreds of things every day. But I have good reason, I think. For one thing, I find it a little distracting. The dotted line is faint but I still notice it when I turn the page and it takes my eyes from the story straight to the highlight. On the other hand, if I turn it off, I wonder what I might be missing! Am I finding the pages as exciting/ funny/ inspiring as others? And if I happen to highlight it, I wonder if anyone else highlighted it also? And if not, why not? Am I really the only person who was moved by that paragraph? Immediately I am distracted again! I've taken to keeping on the highlight, but turning off the numbers. I don't really need to know that 11 other people liked the same line in a book, do I?